SHOALS -- Two men are in jail on drug charges following a traffic stop Sunday in Shoals. Police say 30-year-old Joshua Schmitt had a suspended license with a prior conviction. While searching the vehicle, police allegedly found meth, marijuana and paraphernalia. Schmitt was arrested along with his passenger, 41-year-old George Douglas. 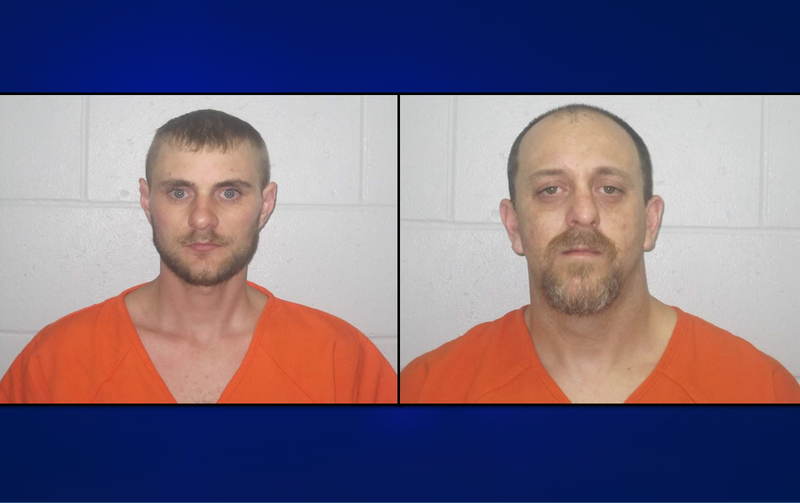 Both men are charged with possession of meth and paraphernalia. Schmitt faces additional charges of Driving While Suspended With a Prior and Possession of Marijuana. Both men lodged in the Martin County jail.